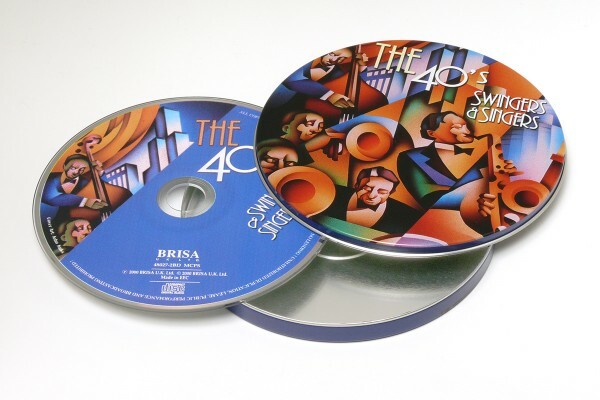 Product information "BRISA CD SWINGERS & SINGERS, THE 40´s"
Step back in time with these swinging vocal tracks from the early 40’s alongside artists such as the Andrews Sisters, Bing Crosby, Duke Ellington and many more. Original historical recordings digitally remastered. 3. ANNE SHELTON with Ambrose & His Band . I'll Never Smile Again (Ruth Lowe) - 3'06 . 4. BOB EBERLY, HELEN O'CONNELL with Jimmy Dorsey & His Orchestra Green Eyes (Rivera, Woods, Menendez) - 3'22 . 9. BING CROSBY and THE ANDREWS SISTERS with Vic Schoen & His Orchestra Don't Fence Me In (Hill, De Rose) - 3'14 . 10. FRANK SINATRA with The Tommy Dorsey Orchestra Night And Day (Alex Stordahl) - 3'05 . 11. DINAH SHORE & Her Happy Valley Boys - Buttons And Bows (Livingstone, Evans) - 2'05 . Related links to "BRISA CD SWINGERS & SINGERS, THE 40´s"
Customer evaluation for "BRISA CD SWINGERS & SINGERS, THE 40´s"